Former Chelsea midfielder Oriol Romeu has penned down a contract with Southampton as confirmed by the club's official website. The 23-year-old who came up through the ranks of Barca’s La Masia academy completed his medical on Wednesday and has agreed personal terms with his new employers. The reported deal is believed to be £5m which will see the former Blues’ man tied to The Saints until 2018. Club executive director of football Les Reed stated, “Once again, we are demonstrating our commitment to compete seriously on all fronts this season by continuing to build a squad with depth and quality. “Oriol is a player we have had on the radar for some time – he was a prominent figure in the Chelsea team of 2011/12, when he made 24 appearances as a 20-year-old. “Like Ryan Bertrand, we believe we have recruited another Chelsea player with an excellent pedigree but also with lots of potential to develop. “He is another player who matches the Southampton profile – he is young and hungry, has been developed at a top academy and has already played at the highest level with plenty more to come,” added Reed. 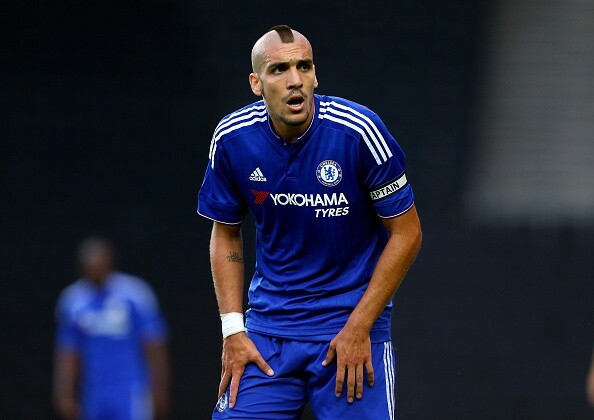 Romeu joined Chelsea in 2011 but he never managed to seal his place in the Blues’ starting XI. In the last two seasons, he was serving loan spells at German club Stuttgart and Valencia respectively. He made 11 Premier League starts in his first season at Stamford Bridge but just four during the 2012-13 season, and he joined Valencia for the 2013-14 season where he made 17 appearances. Returning to English soil, Romeu commented, “It’s very good to be a part of this club. I was looking for a good club and for something new in my career. “Now I just want to keep going and to keep developing as a player, and I’m looking forward to start playing as soon as possible,” he concluded. Southampton lost one of their key midfielders Morgan Schneiderlin this summer after the French international completed his move to Manchester United. Despite bringing in Jordie Classie, Romeu’s addition of their ranks gives manager Ronald Koeman more depth and options in the centre of the park. The Saints started off their new Premier League campaign with a 2-2 draw away at Newcastle. Koeman’s men take on Everton at home this upcoming Saturday.